These better-for-you pastas are loaded with vegetables and flavor. Bonus: they’re beyond easy. First things first: Pasta and carbs are not the enemy. But if you’re looking to make your pasta meal a bit more functional and better-for-you, we have four simple and tasty ideas. 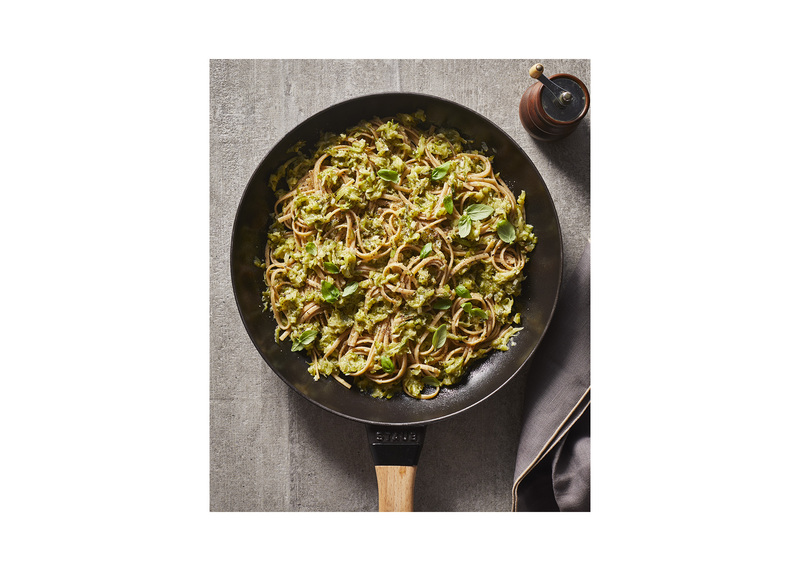 The rise of alternative pasta choices has made them more accessible than ever—chickpea, lentil, kamut, farro, and brown rice noodles are pretty ubiquitous now. Take your pick of the alternatives or go for the good ol’ fashioned stuff, then get cooking these creamy pasta recipes, stat. Luscious and creamy, zucchini is the star of this pasta show. All it takes is cooking down grated zucchini with garlic, shallots, olive oil, salt, and pepper until it’s spreadably-smooth. 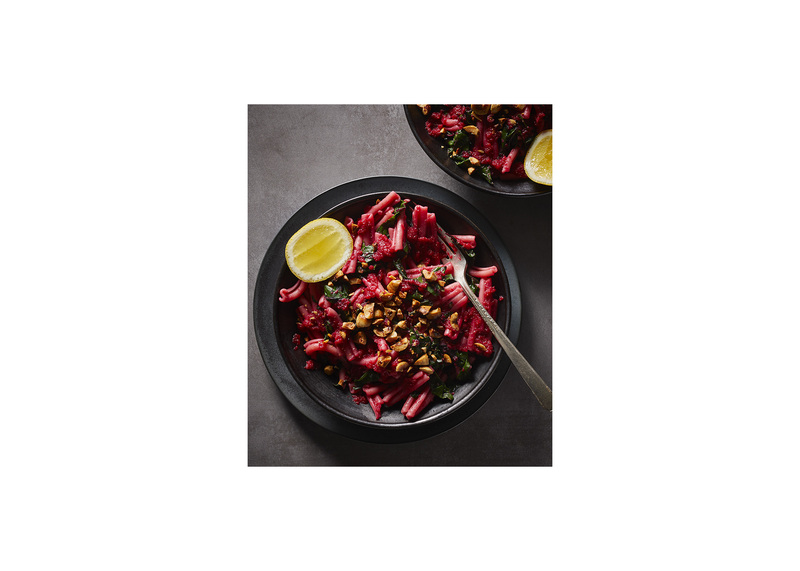 Fresh beets, cooked until tender, make the base for this colorful sauce. Richness and a cheese-like flavor come from miso and nutritional yeast, making this easy creamy pasta recipe effortlessly vegan. Broccoli pesto is a great way to use up a whole head of broccoli. Roasting broccoli stalks and florets brings out all of its best qualities. 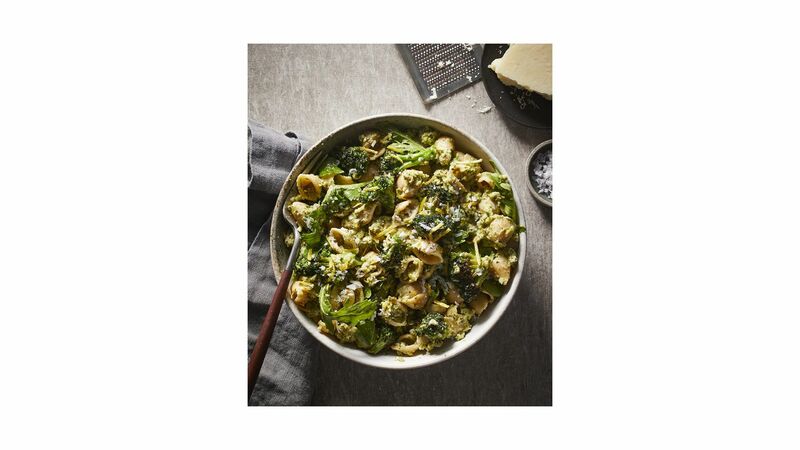 Most of it gets pureed into a nutty and cheesy pesto, but some florets remain to bulk up this green and vibrant pasta. Eight ingredients is all it takes to make this creamy and garlicky pasta. Greek yogurt add protein and creates a luscious sauce when combined with pasta water and a little garlic. 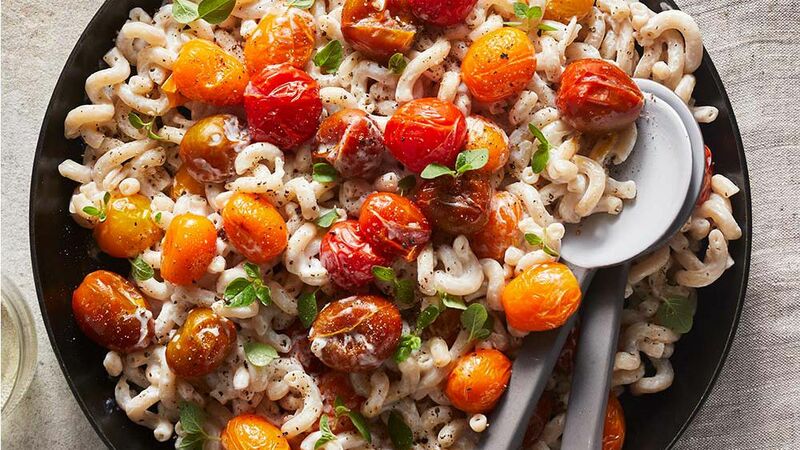 Cherry tomatoes roast in the oven until they just burst for the perfect hint of sweetness. Easy dinner, check!